I'm always thrilled to see the awe inspiring creations from David Stark. 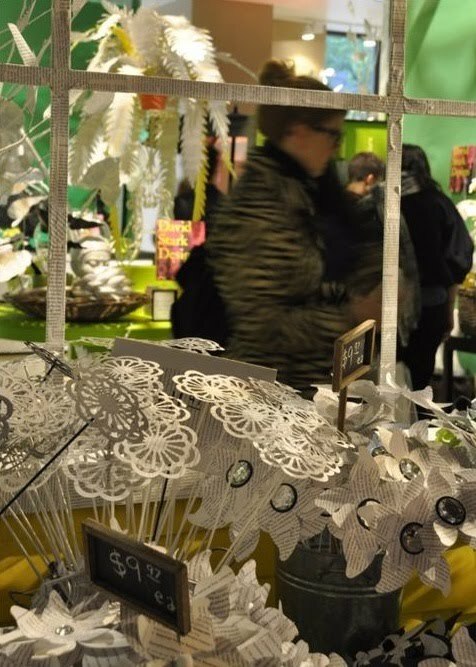 David has the most ingenious way of using everyday objects and transform them into something truly amazing. 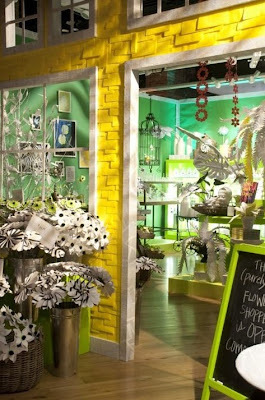 Like this absolutely adorable purely paper flower pop up shoppe at west elm in Brooklyn. 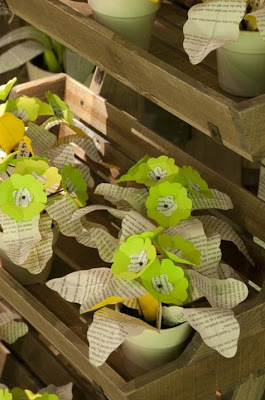 David and his team collected discarded books from across Brooklyn and used the pages to create this flower shoppe. Images via David Stark Sketchbook. Totally adorable! 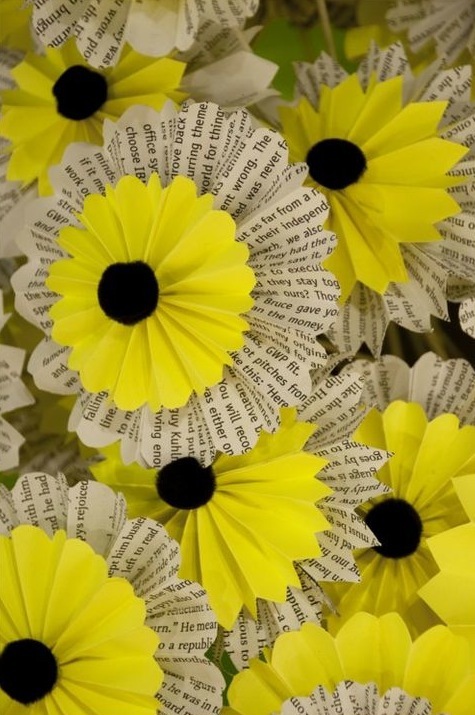 Love the photos and the paper flowers! Oh this is so cool! Love all the paper flowers.